Grain free diet may sound strange to people that think processed carbohydrates in our diets are healthy grains. You might be surprised to learn that bowl of cereal in the morning could be increasing your risk of diabetes, heart disease, and cancer! There has been a gradual realization in our society that processed carbohydrates are not healthy for us. This years ago with Dr. Robert Atkins, and is now pretty, much firmly established among cutting edge nutritionists. So just what is the deal with carbohydrates and the grain free diet in particular? Are grains bad for us, or is this just another health fad that will eventually go by the wayside. Humans evolved over thousands of years eating what has been described as a “paleo or “caveman” diet.” This consisted of the meat of game animals, fish, birds, insects, roots, berries, and whatever else they could gather that was edible. 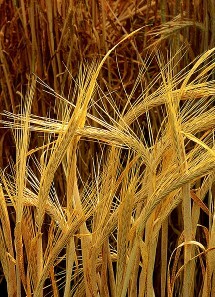 Grains only arrived on the scene about 10,000 years ago with the invention of farming. The majority of humans on the planet today are not adapted to a “modern diet,” that includes large amounts of processed foods . Your body and digestive system were never designed for the foods you are eating now. The result is chronic illness brought on by elevated blood sugar, insulin, and the resulting inflammation that wreaks havoc on your body. Grains came about when humans began farming. This meant that humans were no longer eating the way they had eaten for hundreds of thousands of years. We stopped consuming the amounts of animal protein we needed and substituted a diet largely made up of cereal grains. Grains, being carbohydrates raise blood sugar which in turn raises insulin levels. Insulin is a “pro-inflammatory” hormone, and causes growth in many tissues of the body. We know from scientific research that the more insulin our bodies produce over our lifetime, the shorter our lifespan will be. Even whole grains, can still raise insulin which is unhealthy in the long term. Heart disease, diabetes, and cancer, are some of the health risks that are elevated when we eat grains, especially when those grains have been refined and processed such as in bread, cake, cereal, and meal. Grains, and especially refined grains can accelerate the aging process. By increasing blood sugar and insulin, which increases inflammation in your body. We know from scientific studies that insulin shortens lifespans, and grains do cause your body to release more insulin. For a longer and healthier lifespan, evidence indicates a grain free diet would be beneficial. Mainstream nutritionists argue that it is only simple carbohydrates that are a problem, but we know from experiments done on the glycemic reactions to various foods that complex carbohydrates can also cause blood sugar to spike, especially when they have been refined into processed carbohydrates. 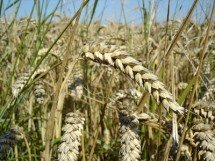 Are There any Healthy Grains? Yes, but only in a relative sense. I would call them less problematic, but still not optimal for nutrition. Wheat is the MOST problematic, but other grains can create problems as well. Some people are gluten intolerant. Also, grains contain substances called lectins and chitins which can irritate the immune systems of certain individuals. This sensitivity is associated with blood type, and the food lists compiled by Dr. Peter D'Adamo can be helpful in determining which grains you are likely to have problems with. Here is a short whole grain list. If you must eat them, these grains are recognized as being healthy grains, or the least problematic of the grain family. You may still want to avoid grains with gluten if you have a gluten intolerance. 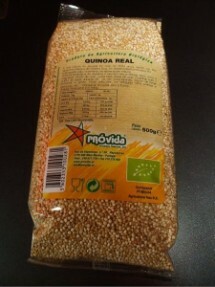 The grains in the above whole grain list, should be organic and eaten in their unprocessed form, except for cooking. Grains DO have some health benefit such as in the ability of oats to lower cholesterol levels. If you are gluten intolerant, stay away from wheat, barley, and rye, as these are grains with gluten in them! Carb Tolerant or Carb Intolerant? Approximately 75% of the human population has some degree of carbohydrate intolerance . For these people a grain free diet may be the healthiest option. The remaining 25% can eat carbohydrates with less problems, because their bodies are more efficient at processing them. These people can be identified through a process called metabolic typing. Another way to identify carb intolerance is though the biosignature modulation technique. This uses skinfold analysis of fat storage sites to establish the degree of carb tolerance (or intolerance). An easy way to get an idea of where you are on the carb tolerance scale is to note how you feel approximately an hour after eating a carbohydrate rich meal. The proper foods for your metabolic type will leave you feeling alert and energetic after the meal. However if you feel sleepy and lethargic, chances are you are carbohydrate intolerant! Here are some guidelines to consider with regard to grains. If you are diabetic, severely carb intolerant, gluten intolerant, trying to lose weight, or are a blood type “O” a grain free diet is probably your best bet. Steer clear of grains (especially wheat, barley, rye and corn) completely, or eat them VERY sparingly in their unprocessed form. Everyone else can eat them, but again limit your intake and only eat whole unprocessed organic grains, and never by themselves. Always consume them in a meal with adequate protein to slow digestion of the grains and keep your blood sugar from spiking. Bread, even the whole wheat form is best avoided, as it really is just a form of processed grains. Bread can be a tasty treat to be enjoyed on special occasions, but it should not be used as a staple of your diet, especially if you are sensitive to carbohydrates. By consuming a grain free diet, you will be surprised at how much easier it is to lose weight and control your blood sugar when you are not consuming processed carbohydrates.